All New Razer Mechanical Switches. 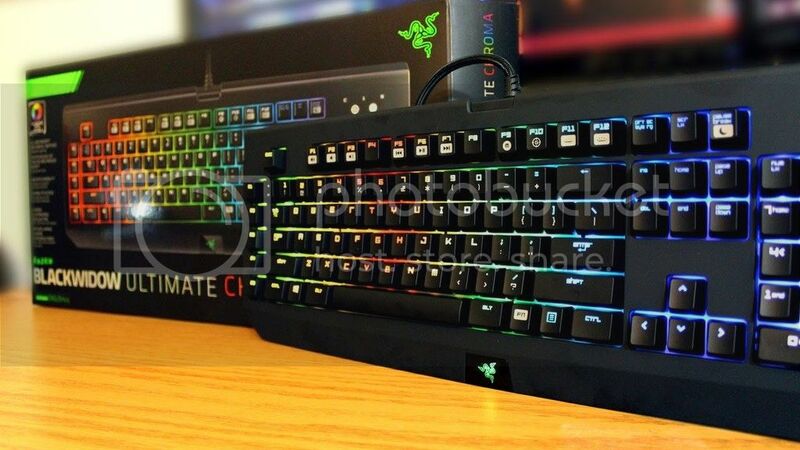 Chroma Backlighting with 16.8 million Customizable Color Options. Razer BlackWidow Chroma - Feel the Difference. 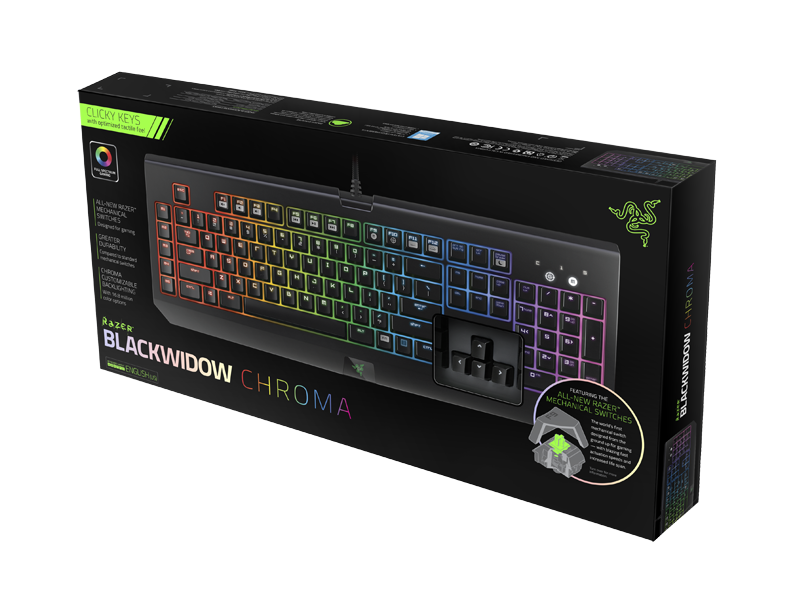 The Razer BlackWidow mechanical gaming keyboard was first launched in 2010 and quickly became the most popular gaming keyboard and the highest selling in the world, made ​​its mark as the top choice for eSports athletes. World´s First Mechanical Switch Designed For Gaming. Four years later, Switches Razer introduced technique, the Razer BlackWidow provide greater benefits to the world´s first mechanical switch that is designed from the ground up specifically for gaming. This allows gamers to take their skills to the next level with speed and precision than ever before. By redefining the boundaries of performance, mechanical gaming keyboard elite leaving competition in the dust, even faster than before. Now with Chroma adjustable backlighting, the icon of this game is to raise the bar once again with the introduction of individually controlled multi-color backlit keys that allow for extreme customization. 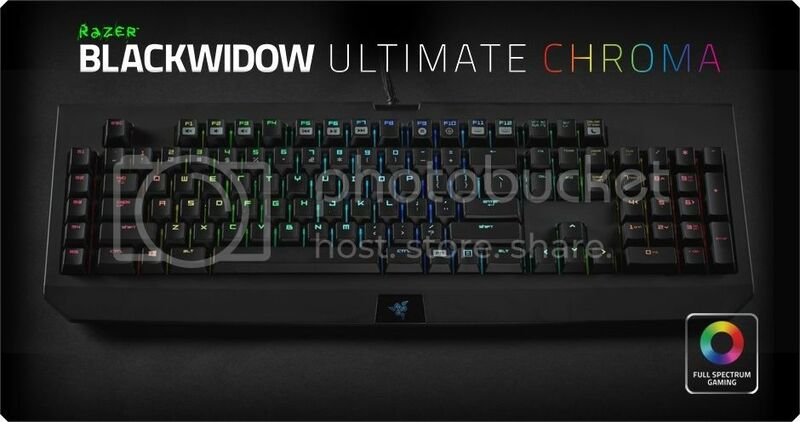 Bearing a different design of the Razer BlackWidow, Razer BlackWidow Chroma give you unbridled freedom to truly express yourself, not just with an impressive spectrum of colors but with a personal lighting control as well. The all-new Razer Switches machine. Designed from the ground up specifically for gaming, Mechanical Switches Razer has a set of all-new optimized actuation and reset points can increase your gaming performance by giving you the speed and responsiveness like never before. Whether it´s your favorite color green or the color of your union, Chroma gives you the freedom to decide. It could be one, three or even thirty seven colors, with a spectrum of visual effects that display 16.8 million colors; may not be anything you can imagine. With color synchronization between devices, Chroma activated Razer Razer gaming weapon you will always go together perfectly. No matter how intense the game you get the marathon, each Switch Razer Techniques engineered to withstand up to 60 million keystrokes, so you will enjoy the benefits of a longer Razer. All devices come with Razer Chroma enabled an open SDK that will allow game developers to take advantage of the many lighting options available for Chroma by integrating advanced lighting effects to create the in-game lighting alerts or actions per minute lighting features. Chroma backlighting with 16.8 million colors customized. 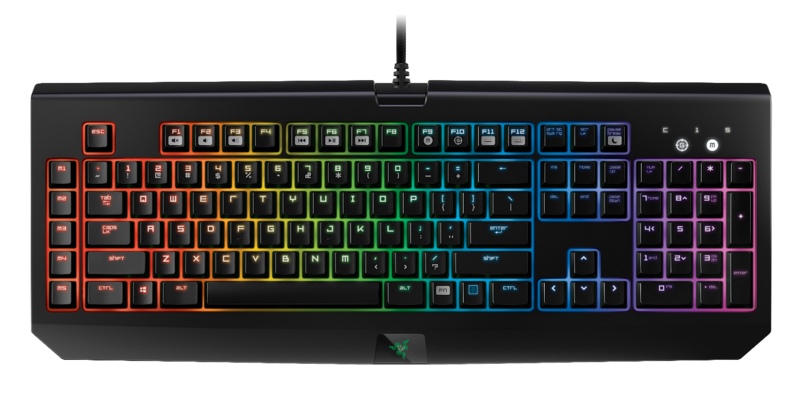 The Razer BlackWidow Chroma features backlit keys individually programmed with 16.8 million color options, all easily arranged through the Razer Synapse. From lighting effects for different types of games preloaded, for your own unique custom color palette is programmed, you can easily enhance your gaming experience in a unique way just for you. Custom lighting control via the Razer Synapse. Razer Synapse is a sophisticated, intuitive software that serves as the brain of the Razer BlackWidow´s Chroma. Synchronize your personal lighting arrangements - from Spectrum Cycling, Breathing, Custom, Preloaded Templates, Reactive, or Waves - automatically with the integrated cloud-based configurator.